Character portraits of the tennis-playing Williams sisters, legendary drummer Ginger Baker, and U.S. President Barack Obama’s half-sister, are among 11 films screening at the expanded Bermuda Documentary Film Festival, October 18-21. 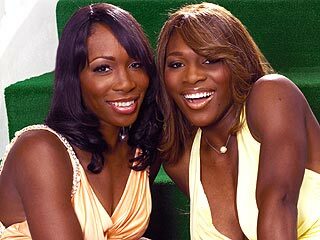 Venus and Serena takes us inside the lives of the Williams sisters during a year when debilitating injuries and a life-threatening illness threatened to take them out of the game. It chronicles their rise from the public courts of Compton, California to the very top of the tennis world. Beware of Mr. Baker is the hilarious and harrowing portrait of the drummer that many consider invented rock drumming. Tracked down in South Africa, where he lives with his fourth wife and 39 polo ponies, Baker is desperate for cash and paying for a life of excess. Featuring interviews with his ex-wives, children and fellow musicians – including Eric Clapton, Charlie Watts, Stewart Copeland, Neil Peart, Lars Ulrich and Carlos Santana – this is a revealing portrait of one of rock’s greatest characters. The Education of Auma Obama is the captivating and intimate portrait of U.S. President Barack Obama’s charismatic and inspirational older half-sister, Auma. A teacher in Kenya, she – like her half-brother – is following in the footsteps of their politically-minded father, Barack Sr., by seeking to inspire the future generation of socially-engaged activists who will guide the country. London: The Modern Babylon, a swooning love letter to one of the world’s greatest cities by legendary director Julien Temple. Sundance award winners The Queen of Versailles, and Ai Weiwei: Never Sorry will open the festival on Thursday October 18, as previously announced. Tickets to Bermuda Docs go on sale Friday October 5 at www.bdatix.bm, All Wrapped Up-Washington Mall, Fabulous Fashions-Heron Bay Plaza, or by calling 232-2255. Bermuda Docs is sponsored by Stella Artois, BELCO, Bermuda Commercial Bank Limited, the Department of Tourism, the Bermuda Arts Council, and the Cultural Legacy Fund. The festival’s host hotel is the Fairmont Hamilton Princess.